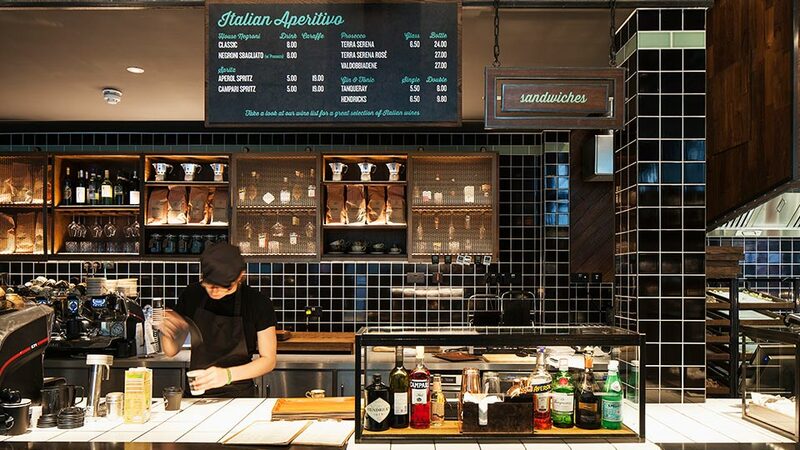 There might not be pizza on the menu, but it’s definitely a slice of authentic Italy that’s come to a corner of Canary Wharf. 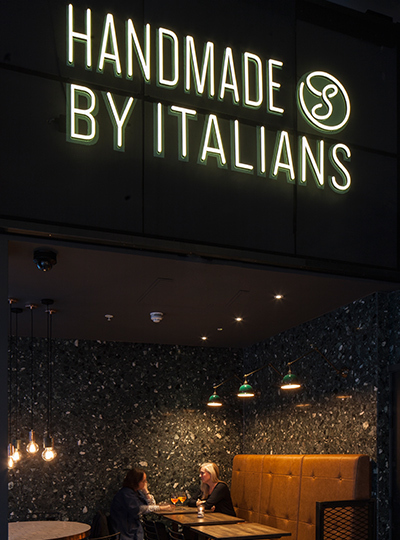 Located in a prime spot and former office, the space has been transformed from cold corporate to Campari spritz. 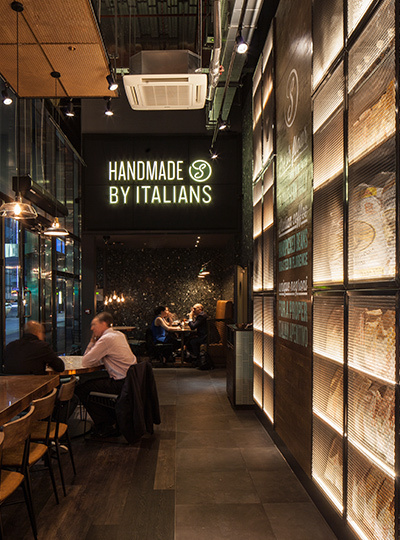 From the outside in, the all-LED lighting scheme had to work with the non-negotiable tinted windows – the space needed to look “open”, not dark and dreary. To make this happen a mix of lighting was used: from pendants and neon signage, to decorative fittings and the illumination of vertical surfaces, all of which come together for the perfect level of ambiance and permeability. General light levels come from a track and spotlight system throughout. 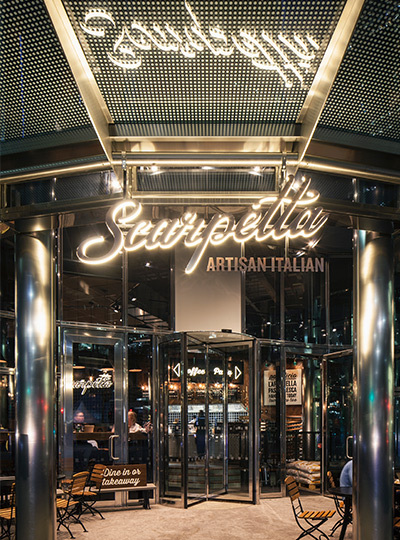 Artisan pasta is Scarpetta’s forte and to highlight this, the counter where it’s made and ordered has been given higher illuminance levels compared to other areas. 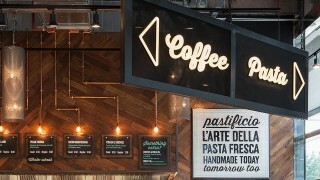 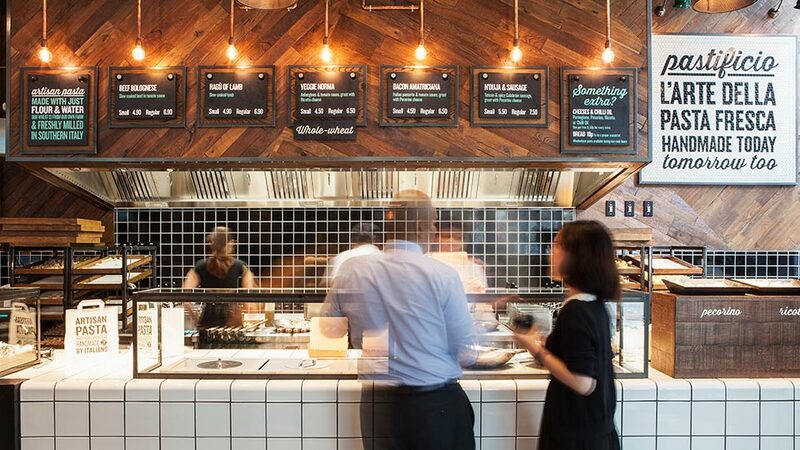 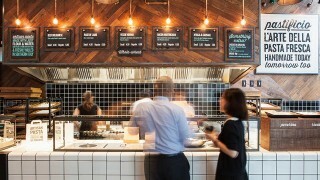 Bare lamps at the tip of a conduit installation add warmth, pick up the wooden backdrop and draw focus to the menu boards. As for the ingredients, the beautifully branded bags of flour and coffee sit in a large floor-to-ceiling display cupboard where a simple lighting detail (LED strips at the bottom of each shelf) creates a big impact. 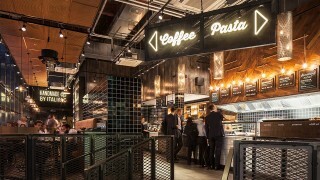 High ceilings and exposed surfaces certainly make the space feel open and airy, but to make it more intimate above the seating areas, a dropped copper raft ceiling was installed. 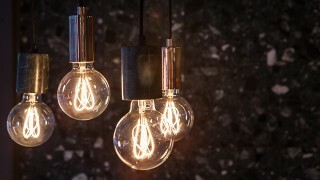 Here we purposely chose transparent pendants because the light also captures the warmth of the copper material. 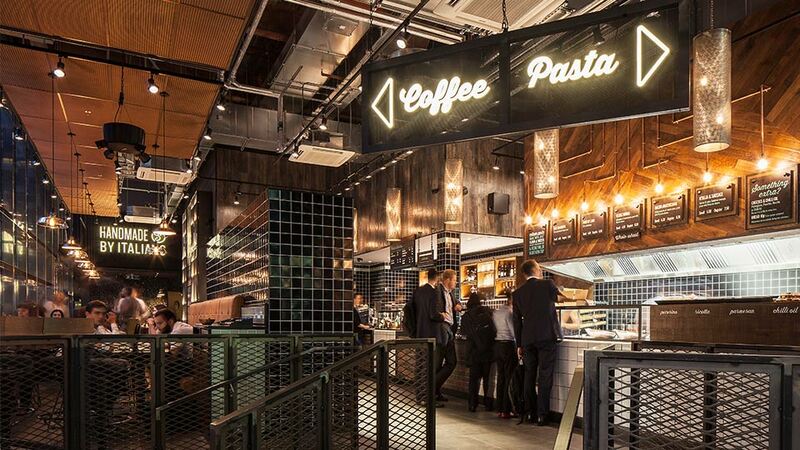 Lastly, a lighting control system gives the Scarpetta team the flexibility needed to create the right mood, be it a morning macchiato or after work aperitif. I love the display cabinet that runs from the floor to the ceiling - little strips of LEDs have a huge impact. 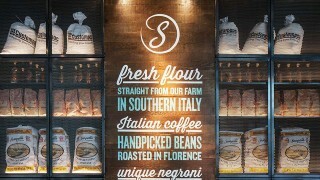 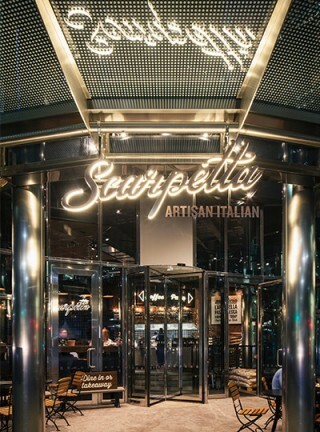 The feature draws the eye into the space, and showcases Scarpetta's branding.